Daniel Padilla edges out Paolo Avelino, Jodi Sta. Maria, Richard Yap, and Iza Calzado in the yearend poll. 2012 was definitely a big year for Daniel Padilla as the 17-year-old teen heartthrob catapulted to the top of Star Magic’s list of teen talents. 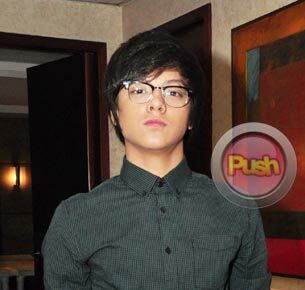 In Push.com's poll last December 2012, Daniel or DJ won by a landslide by getting over 60% of the votes. The son of actors Rommel Padilla and Karla Estrada, Daniel started out his acting career in the weekend teen-oriented show Gimik in 2010. His big break was Growing Up as Kathryn Bernardo’s love interest which helped him land the key role of bad boy Gino in the top-rated Primetime Bida series Princess and I. He also made it to the big screen this year with Kathryn as the newest love team included in Star Magic’s 20th anniversary movie 24/7 In Love as well as the Metro Manila Film Fest (MMFF) blockbuster hit Sisterakas. He also launched his music career with a bestselling debut album with a follow-up in the works. These plus a growing number of product endorsements only seems to solidify his heartthrob status. With one million followers on Twitter plus numerous blogs, forums, fan sites, and clubs dedicated to him, Daniel Padilla’s popularity can only grow stronger which is evident in his jam-packed mall shows and basketball games. Unlike most of his peers, DJ has tried to veer away from the polished, good boy personas most of the teen actors today have. On- or off-camera, the people around him admit that DJ is definitely not “pa-showbiz.” And although much has been hyped about his affection for love team partner Kathryn Bernardo, it cannot be discounted that he can definitely hold his own as seen by his solo shows and guest VJ stint on MYX. The moreno singer-actor also admitted that even though he is a proud member of the Padilla clan, he wants to prove that he can hold a career all on his own. He first started out doing commercials on the side while working as a full-time businessman in Cebu. But what started out as a small role as Kim Chiu’s father in the Primetime Bida series My Binondo Girl turned out to be Richard Yap’s stepping stone to a full-time career in showbiz. Now, he is more popularly known as “Sir Chief” for his role as Jodi Sta. Maria’s reserved but lovable boss on the top-rated morning drama Be Careful With My Heart. Apart from recording songs for their official soundtrack album, Richard also signed up to do a movie with Jodi for Star Cinema which is slated for release this year. Although she started out in showbiz after being launched in batch 7 of Star Circle and in popular shows like Tabing Ilog, Gimik and Pangako Sa ‘Yo, Jodi Sta. Maria decided to lie low from showbiz when she got married and started a family. After separating from her husband, Jodi started acting again by making guest appearances in various shows. With her role as the lovable nanny “Maya,” she became a household name and put Be Careful With My Heart on top of the ratings game. This reality talent show discovery made headlines when he decided to transfer to the Kapamilya network in 2011. A triple threat as an actor, model, and aspiring television host, Paulo’s entry into Star Magic’s elite roster of talents was further solidified by his role as the scheming Nathan Montenegro in the Primetime Bida series Walang Hanggan. This 24-year-old heartthrob’s face is also hard to miss with his numerous billboards, commercials, and endorsements. The Kahit Puso’y Masugatan star made a big leap when she decided to become a certified Kapamilya early last year. Aside from showing off her dramatic side in the hit Primetime Bida series as the determined but emotional Andrea San Jose, Iza is also slated to host the next season of Biggest Loser Pinoy Edition which she is admittedly excited to do as a someone who overcame a struggle with weight loss in her teen years.